Works wonders: A specialist, 100% natural creme that firms, hydrates and deeply nourishes delicate skin around the eyes. This nutrient-rich active formula contains sought-after Hyaluronic Acid and Blue Green Algae which target fine lines and wrinkles, retexture and uplift the skin. The result: Noticeably firmer, smoother, more supple and hydrated skin with a beautiful, dewy tone. Application: Each morning & night. Gently smooth across the delicate skin under & around the eyes. 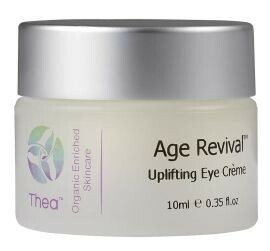 amazing anti-aging eye cream feeds Hyaluronic acid back into your skin! * Organic Olive & Jojoba Oils - highly nutritious, reduce water loss, deeply moisturise & hydrate. * Organic Rooibos Tea –powerful antioxidant slows down the aging process by purifying & regenerating the skin, protecting from free radicals. 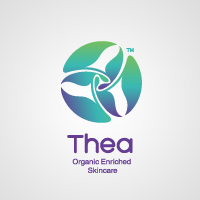 * Organic Lavender & Pomegranate Extract– two of the best anti-aging essential oils which balance skin tone, soothe, purify & hydrate whilst reducing puffiness. * Evening Primrose Oil – deeply penetrating, nutritious & healing antioxidant which encourages skin cell regeneration. * Organic Blue Green Algae – actively retexture, repair & detoxify the skin. High concentration of vitamins, minerals, amino acids & nutrients.